Fighting | Games RA is a place to play all kind of video games, huge selection of action, adventure, puzzle, rpg, retro, fighting, halloween, shooter games online in your browser, no download required. Three new exciting heroes join the fight: Tobi, Gaara, and Allen Walker. Play battle or survival mode and versus computer or with friend on local computer. Is up to you. Have fun and enjoy playing Comic Stars Fighting 3.5. Crazy Zombie 7: Super Heroes 2 is back with four new heroes. Syo Kirishima of KOF joins the battle with his fire punch. Saint Seiya join the fight with his Pegasus Cloth. Cyclops enter the stage with his deadly laser eye. And lastly, Dog Man leaps into battle, lol… Continue the beat down on crazy zombies with super heroes power. Dragon Ball Z (Japanese: ドラゴンボールZ(ゼット), Hepburn: Doragon Bōru Zetto, commonly abbreviated as DBZ) is a Japanese anime television series produced by Toei Animation. Dragon Ball Z is the sequel to the Dragon Ball anime and adapts the last 325 chapters of the original 519-chapter Dragon Ball manga series created by Akira Toriyama, that were published from 1988 to 1995 in Weekly Shōnen Jump. Dragon Ball Z first aired in Japan on Fuji TV from April 25, 1989 to January 31, 1996, before being dubbed in several territories around the world, including the United States, Australia, Europe, India, and Latin America.Dragon Ball Z follows the adventures of the protagonist Goku who, along with his companions, defends the Earth against an assortment of villains ranging from intergalactic space fighters and conquerors, unnaturally powerful androids and near indestructible magical creatures. While the original Dragon Ball anime followed Goku from his childhood into adulthood, Dragon Ball Z is a continuation of his adult life, but at the same time parallels the maturation of his son, Gohan, as well as the evolution of his rivals Piccolo and Vegeta from enemies into allies.Due to the success of the anime in America, the manga chapters comprising its story were released by Viz Media under the title Dragon Ball Z. Additional works called animanga were released, which adapt the animation to manga form. Dragon Ball Z's popularity has spawned numerous releases which have come to represent the majority of content in the Dragon Ball universe; including 14 movies and 57 video games and a host of soundtracks stemming from this material. 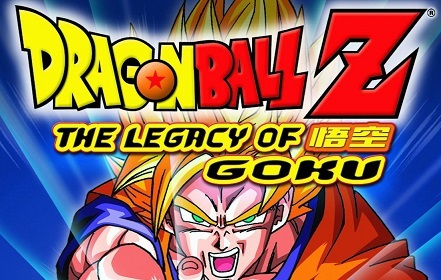 Dragon Ball Z remains a cultural icon through numerous adaptations, including a remastered broadcast as Dragon Ball Kai (ドラゴンボール改(カイ), Doragon Bōru Kai, lit. "Dragon Ball Revised") from 2009 to 2011 and from 2014 onwards.